Yes they really are really useful! Love these boxes! So useful, great quality and will last for years to come! What can I say, It is a really useful box. 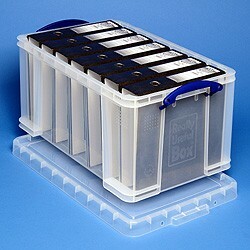 This company makes the best storage boxes bar none; very well thought out, rugged, and long lasting. The boxes are really useful. 48L capacity means there is ample space for those larger items. 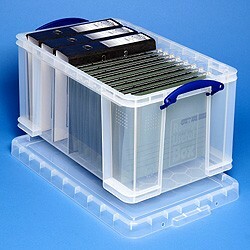 The lids are held securely in place, and boxes can be easily stacked if required. The clear sides mean you can see in an instant what the contents are. Fantastic and highly recommended. I have bought other products in the range and found them very strong and sturdy. I always use this brand. 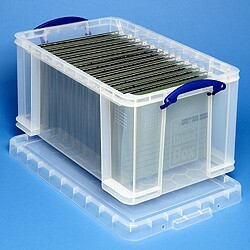 A very useful and strong well-built container. Ideal size for storage and handy clips hold the lid on. A great purchase.